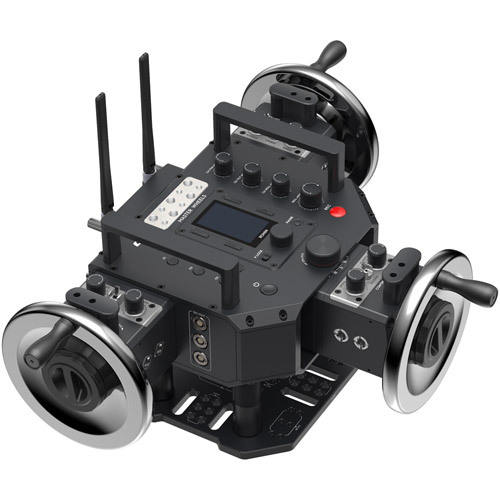 Master Wheels use ultra-high-resolution optical encoders to detect subtle movements and transmit them to a connected gimbal system. This technology allows for incredibly accurate repeatability. The wheels are made of stainless steel, and they are a perfect balance of weight and design, allowing for classic control with cutting-edge equipment.Each component of Master Wheels is precision CNC machined, providing every cinematographer with steady and accurate operation. Users can manually adjust the angle between two control modules for a more ergonomic fit. This intuitive, interactive design makes camera control easier than ever. 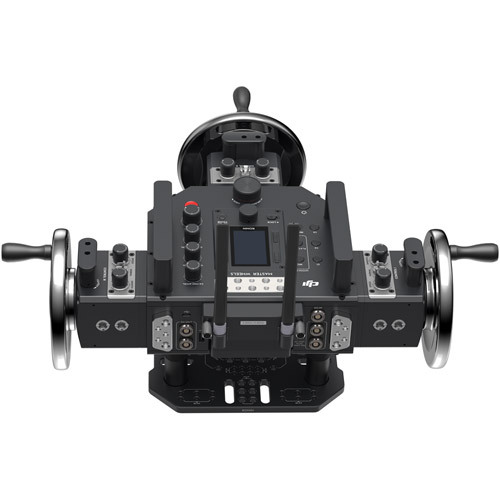 Each wheel control module is equipped with a three-stop toggle switch to control gimbal direction and dials to control speed, smoothness, and damping. Also, various buttons and menus on main control console and three custom buttons allow you to monitor equipment status and adjust settings quickly. Master Wheels also feature a modular design, so wheels and control modules can be detached from the base. 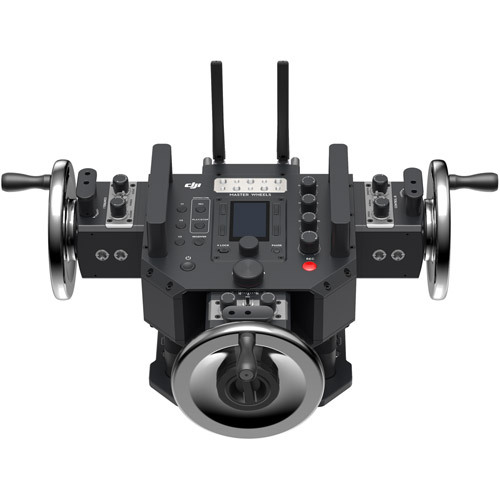 The wheel and control modules can be operated completely separated from the base and connected via cables after being detached, giving users more freedom when shooting in tight spaces. Master Wheels’ dual-frequency 2.4 GHz and 5.8 GHz wireless transmission system supports a max operationrange of 3 km. 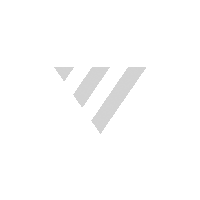 Wired connection is also supported, keeping latency as low as 10 milliseconds. For added adaptability, the radio transmission module can be quickly detached and placed in an open area to obtain a stronger signal. Motion Control lets cinematographers record specific movements and repeat them when needed. Master Wheels use TB50 batteries, which are compatible with the Ronin 2 and Inspire 2. These batteries offer up to 18 hours of operating time, and their self-heating functionality ensures equipment works normally at temperatures as low as -20°. 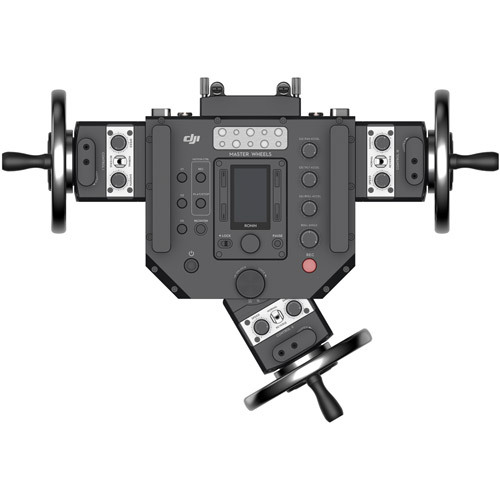 With the included receiver, Master Wheels are compatible with the Ronin 2 and Ronin-S, and third-party gimbals through an S-BUS connection. Support for more devices is coming soon. The main control console contains multiple 1/4-20 and 3/8-16 taps for mounting monitors, video transmission systems, and more. Users can also charge monitors or wireless transmitters via the CAN BUS port.Master Wheels also come with a Mitchell mount that is attachable to the base plate for connecting to tripods, cars, and more, allowing users to shoot any scene they can imagine.